Vote for Pottercraft to receive Vote Keys and a Vote Party! I'm just announcing that we are closing professor applications for a while, as we have a large number of professors and not enough students wanting to be taught, which is something we aim to resolve over the coming updates. Sorry about this & good luck to everyone that applies once they re-open. So, after close to 6 months, we have finally come out of whitelist and I'll explain most of the new/coming stuff here. And over the coming weeks, more will be added. We're looking into something that would take/point you to the nearest fireplace, as it will be pretty frustrating searching for one when all you want is to travel somewhere, so that will probably come in the form of a spell or a command. Floo Powder can be bought from Madame Hopkins near the entrance of Diagon Alley. As I'm sure you're aware, we removed /warp magic in favour of handling everything from within the schools. Your wand can be upgraded from Ollivander's wand shop, and your daily spell, upgrade progress and spell shop will all be available from the Spell Masters based in the 4 Common Rooms and the Great Hall. On the topic of spells, I've spread them out among the years to even out combat a little & keep the number of spells needed per year about equal. If you've not logged in yet - be sure to have by 6:45 PM GMT on Saturday to claim your bonus tag. It'll be expanded on over time - so you will eventually receive a unique wand appearance, a pet and maybe even a hat, exclusive only to you. We also have a lot of new stuff lined up - like Pets, updates to Classes, Mail, map improvements and a major quest-line. MageAurelia Can't wait to see Beaux. In preparation for the re-opening of PotterCraft, we're organising an open call for professors. We would like to take the chance to expand our staff team as well as the builds on our server during the last few months of the maintenance. To do this, we want to remove all entry requirements for the professor role. The Professor Project plans to give everyone a chance to become a professor, even if you're only a first year. To make sure that everyone gets a fair chance, the application process will be simple. All you need to do is to drop a message to me over discord and I will ask you to provide answers for a few questions (e.g. why you want to be a professor, your experience on the server and your suitability for the role). Though, not everyone who applies will be given the chance to move onto the next step. Given that people are interested, professor workshops will be held on the discord to prepare the newest recruits for the re-opening of the server. I am looking to add a few additional builders to our build team. We have several tasks going on at this time which requires a few builders to attend to. If you are mature, 13 or older, extremely detailed in all of your builds, please apply for Builder through the Apply tab at the top of the page. We do check to authenticate your screenshots provided with the application. If they are stolen or from a map you downloaded and the work isn't your own, the application will be rejected. If accepted, you will be required to complete a Harry Potter related trial build to see your skills in live time. Thank you for your time and good luck on your application! As you may or may not be aware, I've been spending most of my time over the last month or so developing a new Mail plugin - the second of many custom plugins that we hope to release. The current mail plugin we use is public, buggy, complicated and designed for MC 1.10. This new plugin has been created with simplicity in mind - there are no commands (yet) and everything is done through a GUI. If there's somewhere you think should have a mailbox and doesn't - let us know in the server-suggestions channel on our Discord! We will be conducting a review in one week. Please note that the model is not final and is going to be changed. There are three different buttons in the GUI, one is for reading, one is for sending and another is for exiting the GUI. You can see what's what by hoving over each item in-game or by looking at the above annotations. There's room for 18 different letters before you can't receive any more, and you will see all of your mail in chronological order from left to right. Whenever mail is sent, the existing lore is cleared (grades etc.) and the exact timestamp and who it's sent to gets added to the lore. You will receive a notification if your mailbox is full. You place the book you want to send in the gap above the Send Mail button, and then click the book below it to send. For now, you can only send one at a time - though with this in mind, the GUI remains open every time you click Send Mail, just in case you happen to want to send multiple books. If it's successful, you should receive a message in chat saying that it's been sent. For now, that's all the plugin has to offer - a substantial improvement over the previous plugin. If you have any ideas/problems/queries, you can head down to our Discord and let them be known! We have lots planned for this plugin, and the following roadmap should outline the basic ideas. Let players send items/attach them to their mail. 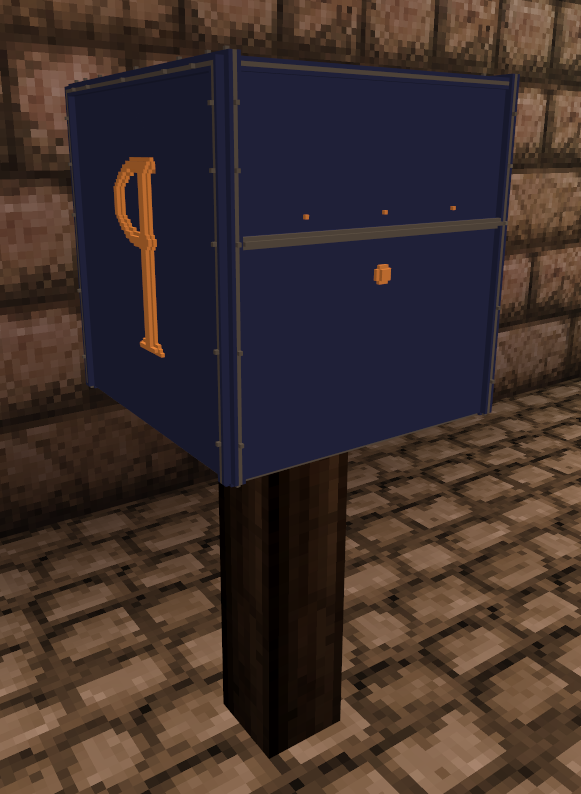 Perhaps let players purchase mailboxes for use in the PvP world. Add in a time delay between the mail being sent and the mail arriving in the other player's mailbox - owl's don't travel instantly, do they? That's all for now, we hope you enjoy using this new feature. Thanks, Davies_Black it was helpful. Um since I’m new.... just wondering how you get your house next to your name tag? just informed of a currency change, my mistake. It doesnt work, iI think they are glitched? I have alot of emeralds that are not appearing as galleons, is there any way i could get them exchanged? Server's now out of maintenence. Post will be up soonish! I’m really struggling with adding this server, is it compatible with iPad? how long will the maintenence take? Only staff at this time is on the whitelist. Please check here for updates regarding the whitelist being lifted! how do i go about being whiltelisted for theserver? How come I cant get on pottercraft? Hey is server going to be open soon.I have a little present for big lady. Minecraft 1.13 came out woooo! Milan, input the IP from the top left of this website into your Minecraft server list and join us! @Ziron This server is PC only. There are a few Higwarts maps for MCPE, but there is no server I don't believe. Come try our server on PC! I was wondering if a Harry Potter server for mcpe will ever be made? Are you running Bedrock or Java edition? No luck connecting at all. I am using Windows 10 version of Minecraft. I enter [link] as IP but it insists on a port number. What do I use? discord or the actual server? Mickey have you managed to connect yet? Complete newbie here. How do I connect to the server? I just get an error message when I try. removes/places blocks in large quantities bans you. Just a note of what I think. Also please unban me. I can't find a jungle biome in the pvp world. Where they removed? pls how do you get in the server?